Let the good times roll again! In 2012, the Boquete Jazz and Blues Festival has introduced the first ever New Orleans style street parade in Panama, and it wasd a huge success right from the start. 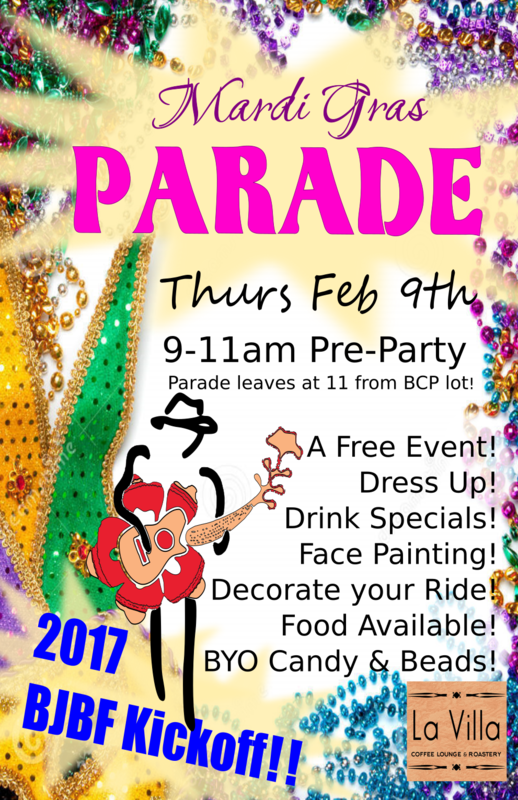 decorated vehicles, costumes, beads and all! members of the Boquete bomberos and a street band of the Nacional Police department of Chiriqui. the BJBF free concerts with three great bands and a student workshop in the park from 12pm until 4pm. Everybody is invited to join the parade! Be there or be square! Get your costumes, beads and stuff ready and let the good times roll! Take a look at the festival website www.boquetejazzandbuesfestival.com to get an idea of the fun we had at previous parades!